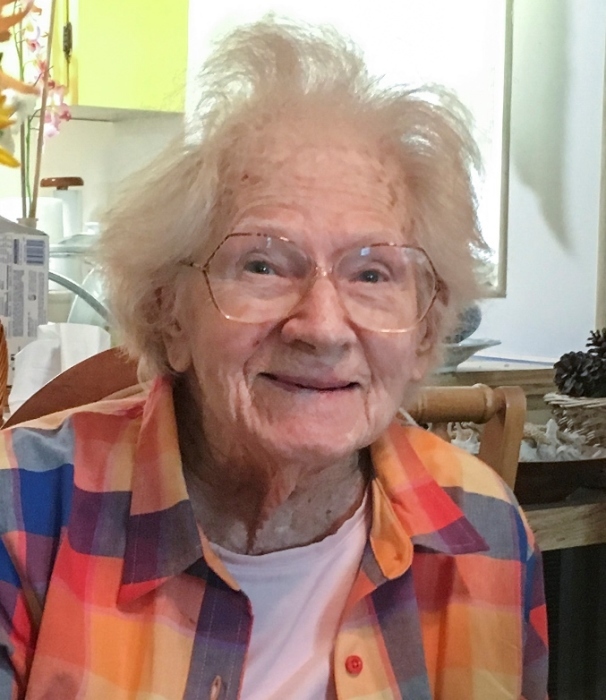 Obituary for Mary Lou (Davis) O'Neill-Gleason | Laughlin Memorial Chapel, Inc.
Age 96, in Sarasota FL, on Tuesday, February 5, 2019. Beloved wife of the late John R. O’Neill; devoted mother of John R., Jr. ‘Jack’ and Thomas K. O’Neill. Mary Lou was born August 20, 1922 on a small farm in the Missouri Ozarks. She was always driven by a sense of adventure, which began early in her life. Shortly after high school she volunteered to work on the Alaska Highway, but was turned down. So she joined the Women’s Army Corps instead. She served in Washington, D.C., and was transferred to Chicago during WWII. Mary Lou met her late husband John at Ft. Dix in New Jersey at the end of the war. She was very proud of her military service and often talked about her trip with Honor Flight -- being flown with other WWII veterans to D.C. to see the WW II Memorial and how much that meant to her. Mary Lou spent her life focused on her children and when John retired, they planned to move to Florida. Unfortunately, he passed away before they could enjoy the Sunshine State together. But she had fallen in love with Southwest Florida and moved here anyway. Later in her life, she was lucky enough to find love again with Frank Gleason, a retired New York police officer whom she married. Mary Lou and Frank loved to be together and their favorite pastime was dancing. Frank doted on her for more than a decade until he passed away. She spent the last few years of her life in her cozy home in North Port, enjoying her backyard garden and the company of her cat, Homer. Service and interment will be private.